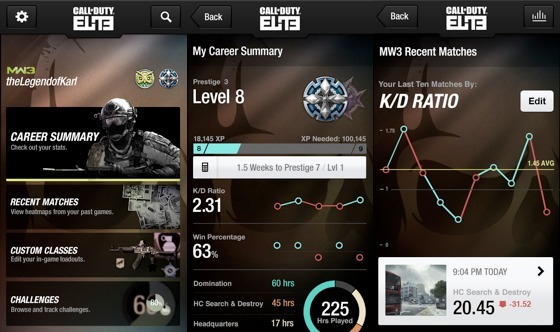 BREAKING: Call of Duty Elite iPhone App Launches Tomorrow! Hey guys, it seems that the day has finally come. Activision is ready to finally release it’s Call of Duty Elite app for iOS! I can’t tell you how excited I am! I have been waiting for this application since September when it was announced at Call of Duty XP! Activision had been delaying the mobile applications over server and scaling issues that plagued the new service with inaccessibility and lag until mid December. The Call of Duty Elite iOS app will launch tomorrow and will be a free download, an iPad version will be released shortly after it’s iPhone counterpart.